Don’t Be A Sheep – Look Towards Your Ascendant Miss Independent Aries! Aries rising colours the personality with a forthright, direct and assertive edge. People born with Aries on the ascendant are action people. Bold, dynamic and courageous, they come across as brave, independent and impatient – even if their Sun sign is more shy and retiring! Youthful and energetic, Aries rising people are enthusiastic and straightforward, wearing their expression all over their somewhat innocent face. With Aries rising your chart ruler is Mars, planet of assertion. 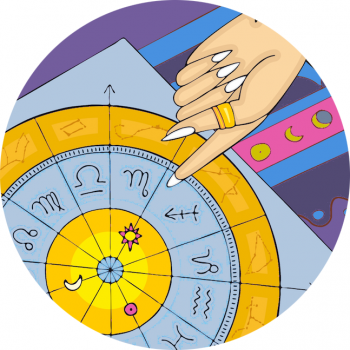 Depending on where Mars falls in your chart and how it’s aspected will reveal even more about your character and your Star Sign Style! We can assume the person that’s Aries rising is passionate, even hot-tempered, a little coarse and potentially temperamental. Notoriously a sign that jumps into things before looking, Aries people are in a hurry to get ‘there‘, fast – wherever it may be. This means they’ve a fresh faced approach with a no-nonsense vibe about their wardrobe. It’s not necessarily practical but it will ooze confidence and a boldness. If you’re born when the Ram is rising you’ll have an expressive, open face and perhaps a large, pronounced forehead (Aries rules the head), perhaps even a receding hairline! The typical Aries look is described as pugnacious, with an upturning, button nose and almost a baby face look. These people can also have a reddish tint to their cheeks. You might have a distinctive brow – attractive, arching eyebrows typify Aries beauty and yours may be a standout feature.